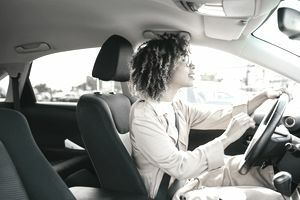 It's no secret that ridesharing benefits the passenger; there are millions of drivers throughout the country who are ready to take them wherever they need to go. That said, working as a rideshare driver can be a profitable experience, but it can also be a bad move. For every driver who claims to earn thousands of dollars per month in New York City, there's another in Washington state who must rely on food stamps to make ends meet. Variability is a risk when you take on this side hustle. While you may earn a higher hourly rate than purported by the latest independent study, it's also possible that you'll earn less. Organizing your workweek. A side hustle of any sort can fall apart without a plan. Sticking to a weekly schedule can help you prioritize cash flow without burning out. For example, suppose you work full time and decide to become a rideshare driver to earn extra money. Your goal is to earn an extra $500 per month, or 33 rides for $15 per ride. To reach your earnings goal, decide how you’ll divvy up the rides each day. A sample schedule might include 10 rides on Friday, 13 on Saturday, and 10 on Sunday. You could also do two or three during each weekday if you have the time. Tally up your income at the end of the month and take stock of your efforts. Was it worth it? The answer will help you decide whether rideshare driving is the side gig for you. Driving during surge hours. In addition to organization, another way to maximize your earnings is to drive when you’ll earn more money per hour, also known as “surge hours.” Surge pricing adjusts the rates of rides to match driver supply to rider demand. For example, when there are more passengers in need of rides than there are drivers on the road, your rideshare employer may increase the fares and pass some of the earnings on to you. Self-employment tax: Technically, you’re required to pay a self-employment tax of 15.2 percent as a rideshare driver. That said, half of this tax is deductible from your gross wages. Car mileage: As of 2018, you can deduct 54.5 cents per mile driven for business use. Car wear and tear: You can deduct the actual expenses of operating your car for business, including gas, oil, repairs, insurance, maintenance, and lease payments or ownership depreciation. Cell phone service: You can deduct the portion of your cell phone use for business. If you're not sure how much you'll use it, consider getting a prepaid phone to track your expenses more closely. Additional expenses: If you offer your customers a perk during their ride, e.g., bottled water, you can deduct the total cost that is not reimbursed by the rideshare company. Working as a rideshare driver can be a profitable side hustle, but you need to adopt a smart strategy. Cut your overhead expenses and be mindful of the factors that limit your earning potential. When it comes to rideshare employment, don't skip the test drive.